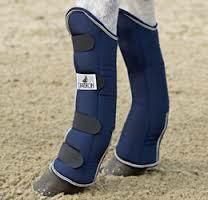 A full height Travelling Boot. 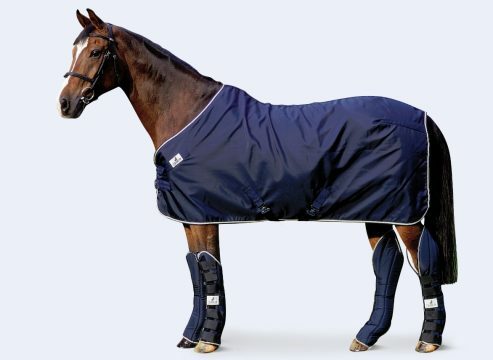 It has tough polypropylen outer shell, a 20mm foam fillling and is lined with soft woven fleece. 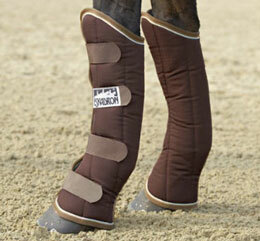 A set of matching Transport Boots made of Rip-Stop outer material to match the stable and outdoor rug. Inner material of skin friendly cotton fabric. 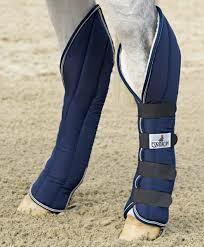 The numerous Velcro fastenings ensure a secure hold on the horse’s leg. Packed in a set of four.